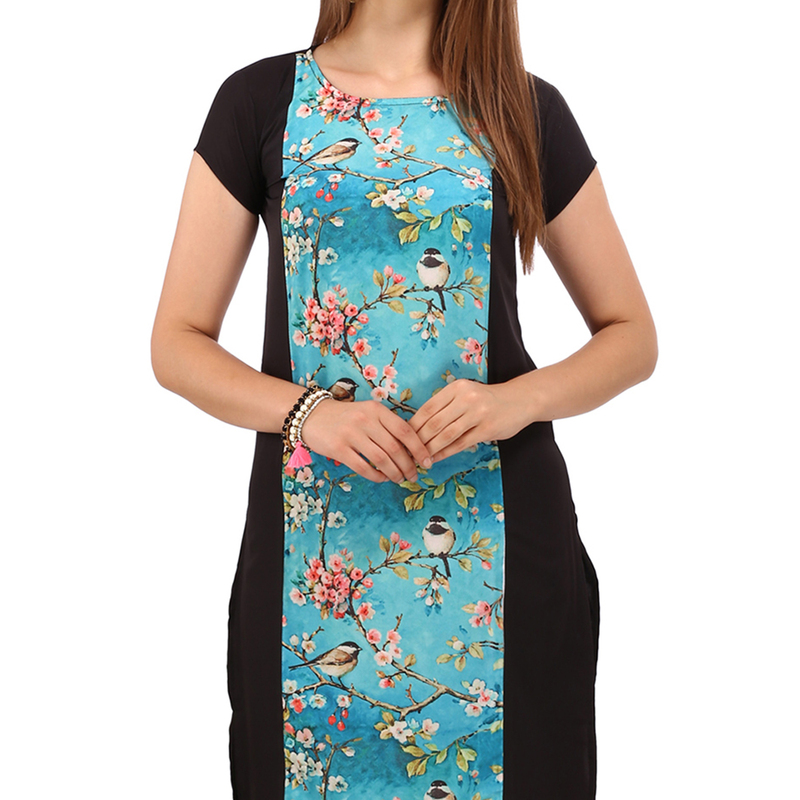 Appear ethnic wearing this black - blue kurti enriched with floral & bird design digital print work done at the front of the attire. 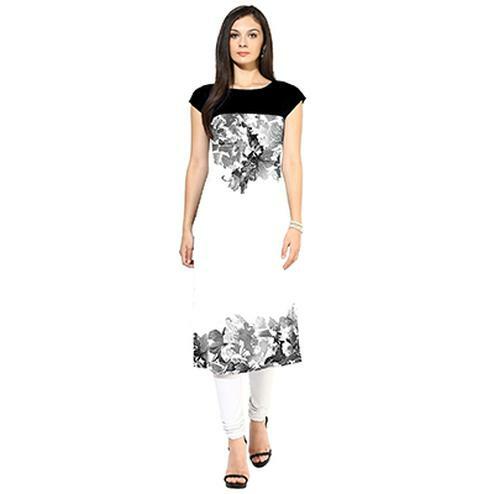 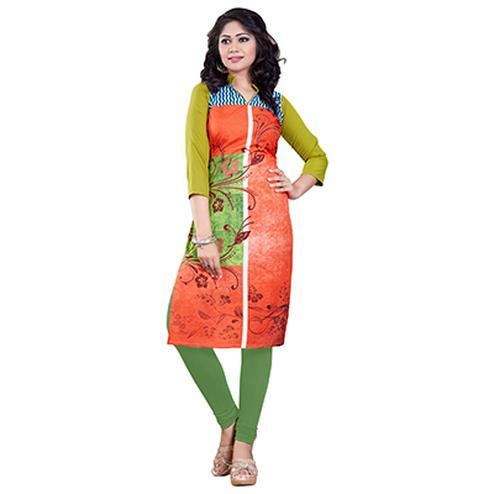 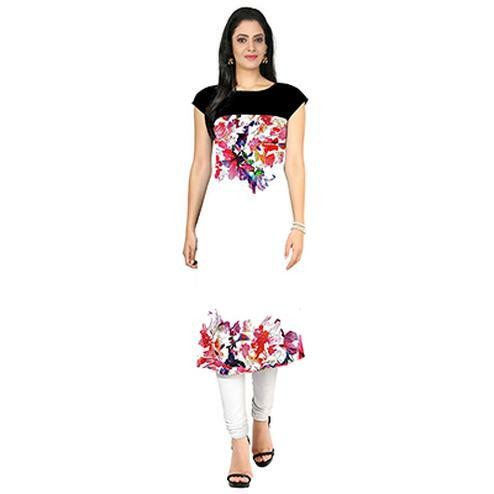 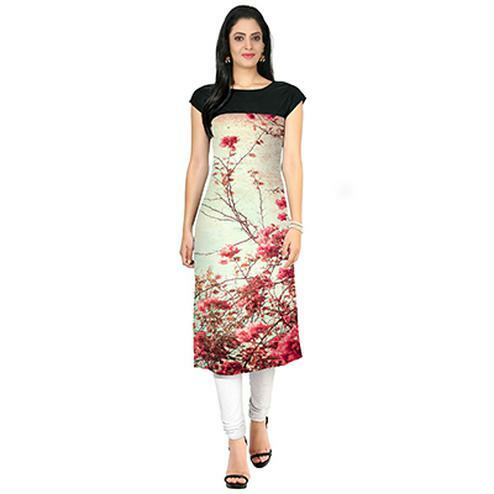 Made from crepe fabric, this kurti is lightweight and comfortable to wear. 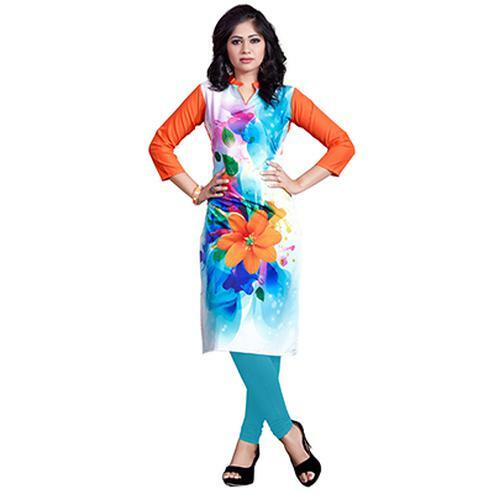 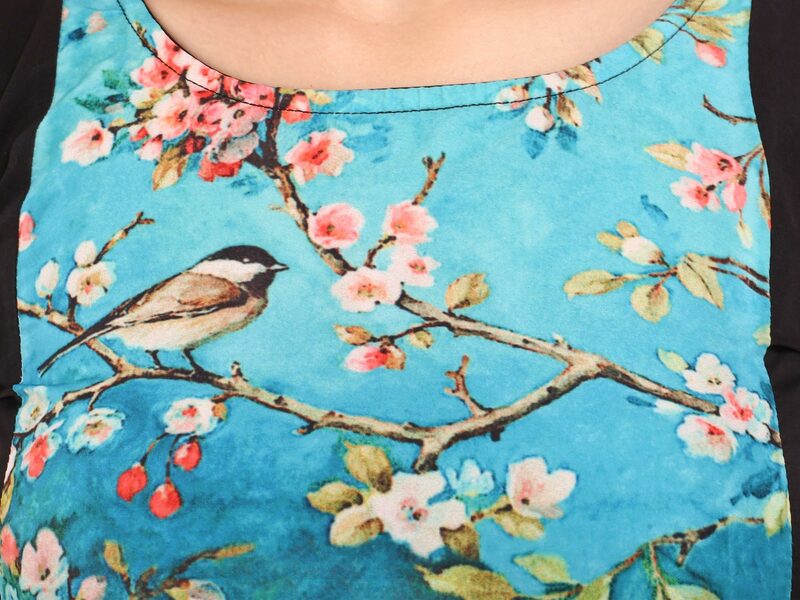 Team this kurti with matching leggings or jeans for a complete look.